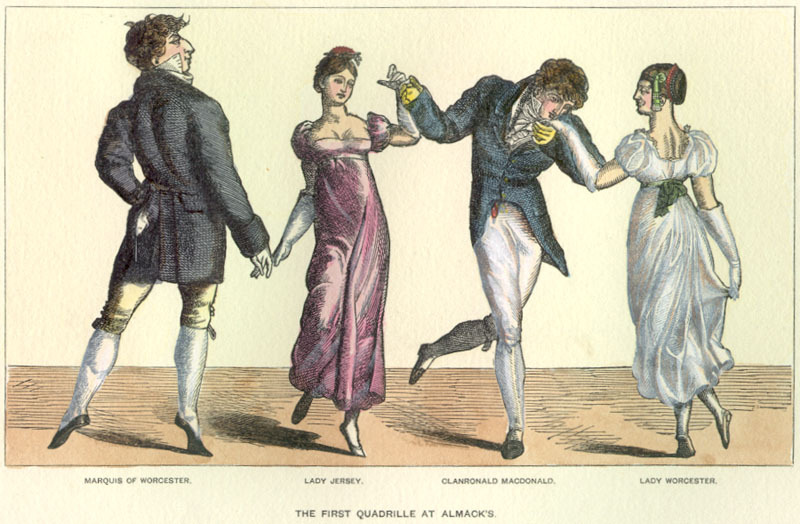 The Regency History blog is five years old! 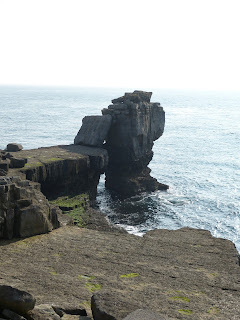 I can’t believe that it is five years since I started this blog! I wrote my first post – What is the Regency? – back in October 2011 and there are now 270 posts on the Regency History blog. My husband, Andrew, has been contributing posts since 2014 and this blog is now very much a joint venture. According to Google analytics, there have been over 800,000 page views with around 80% of visitors coming to the site through organic search - that is, people have searched for a subject and clicked through to a page on the Regency History blog from the search results. 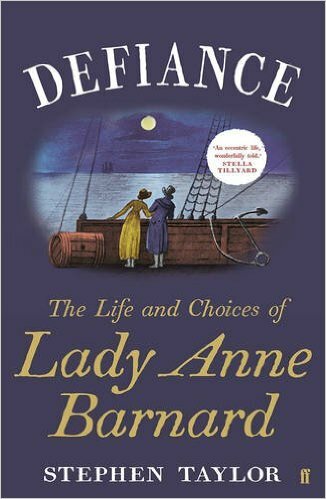 Defiance is the biography of Lady Anne Barnard (1750-1825), best-known as the author of the popular ballad Auld Robin Grey. Anne was the daughter of an impoverished Scottish earl who became close friends with the young George IV and his secret wife, Mrs Fitzherbert. Anne was a prolific letter writer and kept detailed journals of her life, most notably of her time living in the Cape of Good Hope in South Africa. Defiance is a well-written biography, as you would expect from a former correspondent of The Times, with plenty of contemporary quotes, largely from Anne’s letters and diaries. If you want to learn about one of the less conventional members of Georgian high society, then this biography will not disappoint. Before I was invited to review this book, I confess that I had no knowledge of Lady Anne Barnard, or Lady Anne Lindsay, as she was known before her marriage. 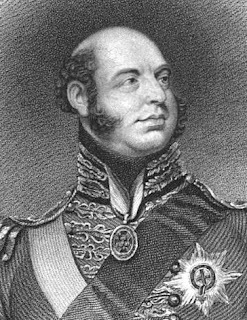 Although an intimate friend of George, Prince of Wales, and his secret wife, Maria Fitzherbert, I couldn’t remember ever hearing her name mentioned before. I had heard of many of her suitors, who included Thomas Noel, 2nd Viscount Wentworth; Henry Dundas, 1st Viscount Melville; and William Windham, but not of Anne or her husband. The fact that I had never heard of Anne’s husband, Andrew Barnard, is not surprising. 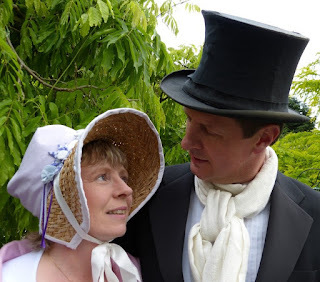 Despite proposals from much wealthier and more powerful men, Anne chose to marry for love. 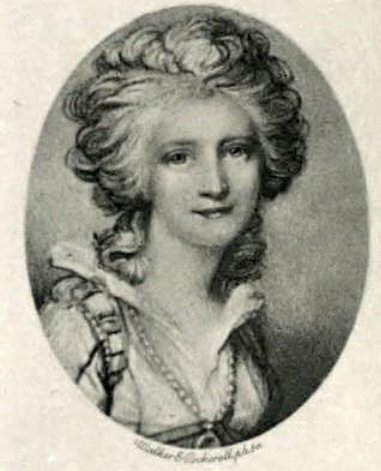 After refusing numerous offers for her hand, including one from the eminent politician Henry Dundas, Anne chose to marry a nobody. Barnard had neither wealth nor connections to recommend him and her choice surprised everyone. He was deemed an opportunist by many, but the marriage was a happy one. That I had not heard of Anne is more surprising. She is mentioned in Fanny Burney’s diaries, so I must have read her name, but she had clearly not made much of an impression. One reason is probably the fact that she didn’t quite fit into high society. Many of the leaders of the ton thought Anne was ‘odd’. Another is undoubtedly that many of Anne’s papers have not been available to historians, and this is one of the exciting claims of this book, that Taylor was able to use Anne’s unpublished memoirs in his research. 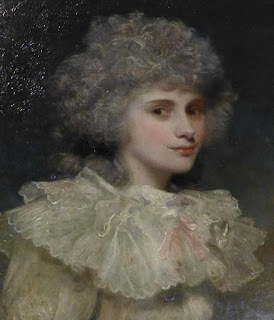 As a young woman, Anne earnt a reputation for being coquettish, largely through being both attractive and indecisive. Her crime was not wanting to hurt people’s feelings and desperately wanting to marry for love. 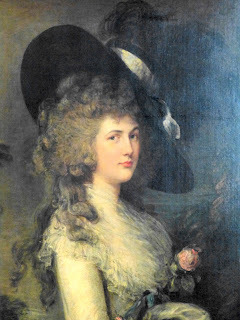 She did not let society dictate how she acted and her friendships with the scandalous Anne Luttrell, the wife of the Duke of Cumberland, and Mrs Fitzherbert did nothing to improve her reputation. Neither did her relationships with Wentworth and Windham. It was Anne’s relationship with Mrs Fitzherbert that most attracted me to the book and, for me, it was the most satisfying part of Anne’s story. 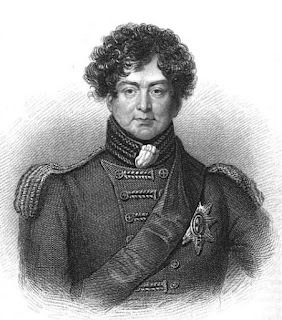 I felt I learnt something more of George IV’s secret wife, and have ended up feeling that she was more to blame that their relationship didn’t last than I had hitherto believed. Eager for new information about Mrs Fitzherbert and aware of Anne’s role as her travelling companion and confidante, I had hoped for even more. 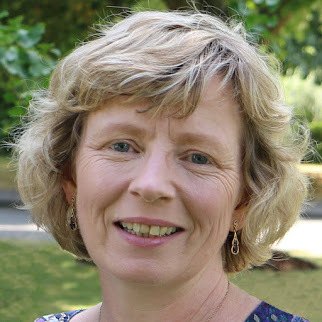 I was left wondering whether the author was forced to be selective or whether there is little more to tell from Anne’s papers about the royal couple. There were times in the narrative that I found the style a touch too impersonal – maybe, a little journalistic and matter of fact. Perhaps this accounted for why I struggled to sympathise with Anne’s character, and didn’t feel I really knew her very well by the time I finished the book, though I think this improved when I went back to take notes. I most warmed to Anne’s character towards the end of the book, when, as a relatively wealthy widow, she shared her home with members of both her own and her husband’s family. 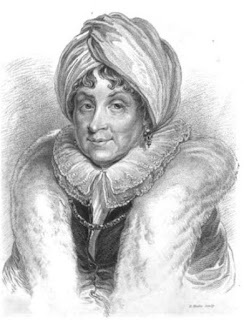 Perhaps her most endearing action, though probably the most daringly controversial act of her life, was giving a home to her husband’s illegitimate, mixed race daughter Christina, the daughter of an African slave, whom Anne housed and supported, even though her very existence was testimony to her husband’s infidelity. The part that I found most hard going was the section on Anne’s life in the Cape, but this was probably personal. As my primary area of research is late Georgian England, my interest in South Africa is limited, and I was eager for Anne to get back to England. I think it would have been helpful to include a family tree, to enable the reader to keep up with all of Anne’s relations. One of my gripes is about titles. On one occasion, Frances Villiers, Countess of Jersey, is referred to as Lady Frances Jersey. Though tempting to distinguish her from her equally famous daughter-in-law Sarah by inserting her Christian name, according to the rules governing titles, this is not correct. 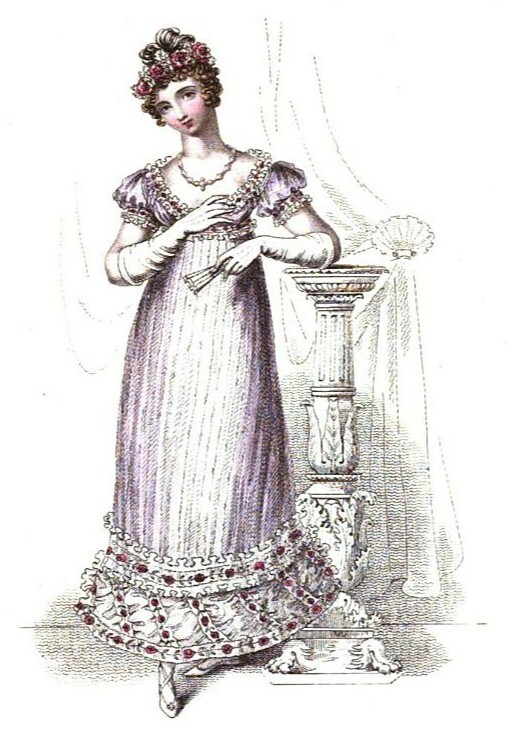 Lady Jersey took her title from her husband – using her Christian name before her title would indicate that it was a courtesy title she used due to the rank held by her father. This was the case with Lady Anne Barnard. She took her title from her father and so when she married a commoner, she continued to use her courtesy title with her Christian name and her husband’s surname, indicating that the source of her title was her father and not her husband. My second observation is about the date of Lady Anne Lindsay’s marriage to Andrew Barnard. Defiance gives the date as 30 October 1793, but the Oxford Dictionary of National Biography for Lady Anne Barnard gives the date as 31 October. So, which is right? Dates can be tricky. It is sometimes difficult to pinpoint exactly when someone was born or died before registration of births and deaths became compulsory in 1837. Parish registers only recorded the dates of baptisms and burials. However, marriages are easier. I decided to check as I have access to a transcription of the marriage registers of St George’s, Hanover Square. The marriage is recorded as taking place on 31 October 1793. The last is what I have concluded is a typo that escaped the proofreader’s attention. Initially, I was a little confused by the dates for Chapter 19 – 1810-1844 – as Anne died in 1825 and it wasn’t even the last chapter. I believe the dates should read 1810-1814, as Chapter 20 covers the final years of her life – 1814-1825. In conclusion, Defiance is a readable biography of a daringly unconventional Georgian woman, full of detail about life at the Cape around 1800, and with some fresh insights into Mrs Fitzherbert’s relationship with the young George IV. I was sent a review copy by the publishers but this is an independent review. 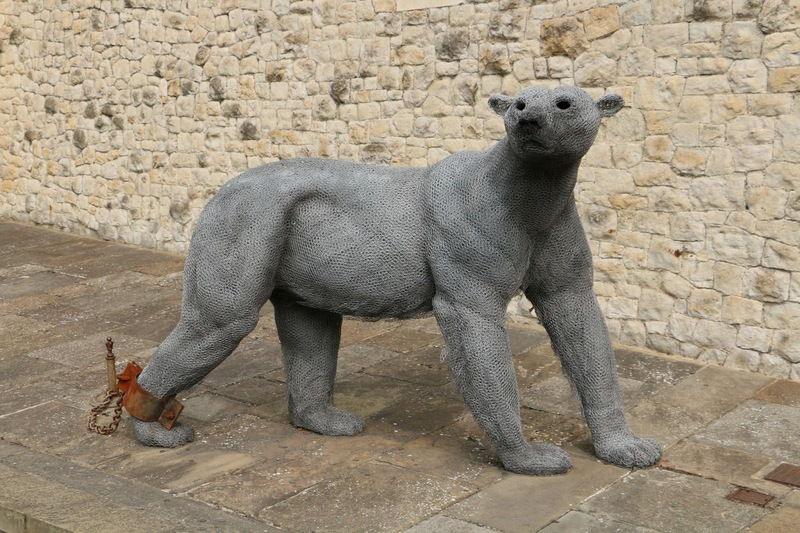 It is believed that lions were first kept at the Tower during the reign of King John in about 1210, though it is his son, Henry III, who is generally credited with establishing the menagerie, which included a polar bear and an elephant. Where were the animals kept? How much did it cost to see the Royal Menagerie? 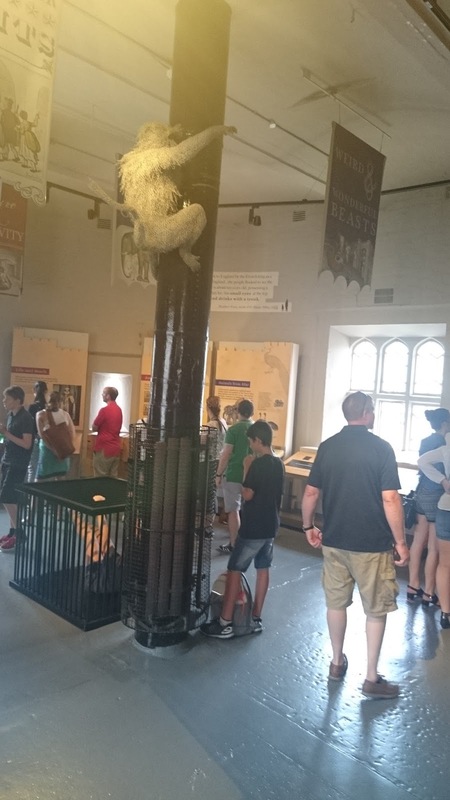 What animals were on display in the Tower? 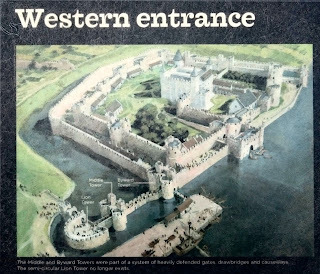 The early editions of Feltham’s Picture of London included a list of animals on display in the Tower. The latest list that I have come across is in the 1809 guide; by 1813, no detailed descriptions of the animals on display were given. 1. Miss Fanny, a fine lioness, but discovers so much ferocity, beyond that of any other lion in the Tower, that the difference of disposition in the same species is in this instance very striking. 2. 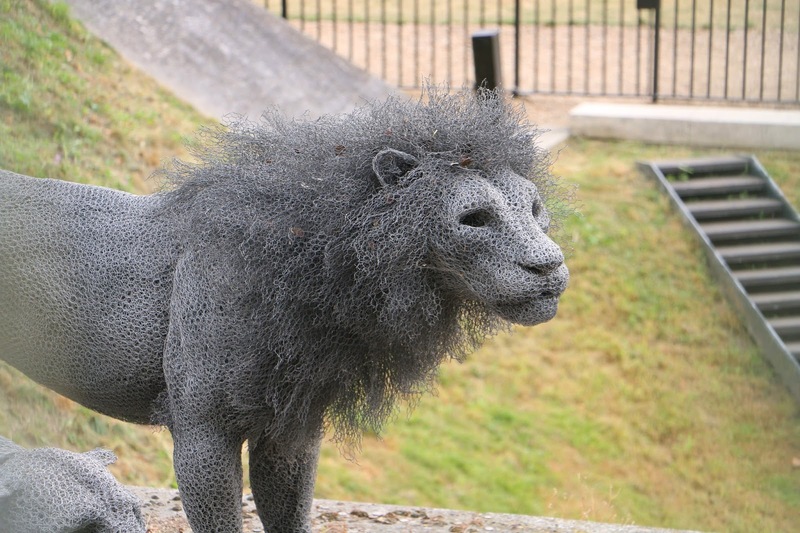 Young Hector and Miss Jenny, a lion and lioness, from the Gulph of Persia, three years old, of the same litter, presented to his Majesty by the present Marquis Cornwallis on the 6th of March, 1800. These are extremely fine animals. 3. A young Lion and Lioness, sent to her Majesty by the Emperor of Morocco. 4. Two African Lionesses, a present from the Dey of Algiers to the King, and brought to the Tower in of Algiers to the King, and brought to the Tower in October 1800. 5. A fine young Lion, a present from the Emperor of Morocco to the Duke of Kent, and extremely tame and docile. 6. Traveller, a panther from Algiers. 7. Miss Peggy, a black leopardess. This animal is a great curiosity: although her skin is black, it is varied with spots of a deeper black, and her form is the most delicate that can be imagined. 8. Miss Nancy, a bright spotted leopardess. Both these animals were sent from Anjengo, by Governor Hutchinson, in 1799. 9. Duchess, a remarkably handsome leopardess brought from the Malabar coast, presented to his Majesty by Lord Carlisle. The brightness of the colours of this animal is beautiful in the extreme. 10. Miss Maria and Master Bobby, a Leopard and Leopardess from Prince of Wales's Island, in the East Indies. 11. George, a Leopard presented to the Prince of Wales, by Mr Devaynes. 12. Harry, a royal tyger, from Bengal and one of the finest ever seen, given by Mr (now Sir Evan) Nepean in 1791. This noble animal is very tame, and is fond of a little dog which often plays with it in the den. 13 A curious Ring-tailed Tyger, from Bengal, presented to her Majesty by Admiral Rainier. 14. A Wolf, from Mexico, presented by Admiral Masserano to Lord St Vincent, and by him to his majesty. 15. A Spotted, or Laughing Hyena, from the Cape; presented by David South, Esq. 16. A Racoon, bred in the Tower. 17. A very large African Deer, from the Cape of Good Hope, presented by General Dundas, and the only one ever brought to England. 18. A large Greenland Bear. 19. Ant Bear, from Canada. This is a curious animal, and is extremely gentle. 20. A White Fox, from Owhyhee. 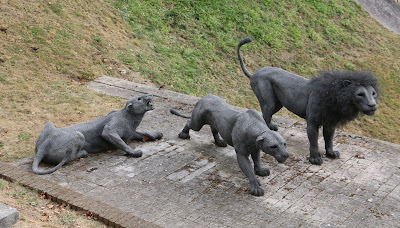 The 1809 list made no mention of the 'Three Royal Hunting Tygers' recorded in the 1806 guide which were 'said to have belonged to a pack of the same kind, of Tippoo Saib’s, with which he hunted beasts of prey. They are a small kind of tyger, and are extremely curious'. 4 Neither was there any mention of the 'Tiger Cat, from the river Gambia' or the 'Coati-mondi, brought from Honduras' also listed in the 1806 guide. 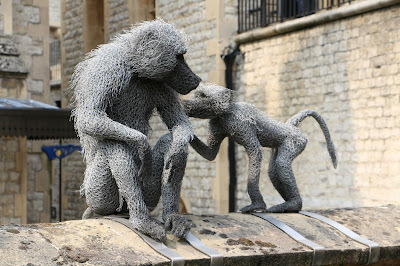 4 It seems likely that these animals had died during the intervening years. The care taken by the keepers to prevent injury to the visitors, is very great; and the wholesome cleanly condition of the dens, deserves praise. The dens are very commodious. They are about twelve feet in their whole height, being divided into an upper and lower apartment; in the former they live in the day, and are shewn, and in the latter sleep at night. Iron gratings inclose the front of the dens, most of which have been recently rebuilt, with every precaution to prevent accidents. By 1821, the Royal Menagerie was in decline. The only animals left were four lions, a panther, a leopard, a grizzly bear and a tiger. However, when a new keeper, Alfred Cops, was appointed in 1822, the menagerie enjoyed a brief revival. Cops bought animals himself to add to the menagerie and at one time, there were more than 250 animals living in the Tower. Despite the care taken by the keepers, animals did sometimes escape from their cages and accidents did happen. In 1826, Cops, almost lost his life when a snake he was feeding suddenly darted at him and coiled himself around his arm and neck. It was only the providential arrival of two other keepers that saved his life. In 1828, a secretary bird met a grisly death when it put its head into a hyena’s cage. In 1830, an assistant keeper accidentally allowed a lion and a Bengal tiger and tigress into the same cage. A fierce battle arose between the animals and the lion later died as a result of its injuries. 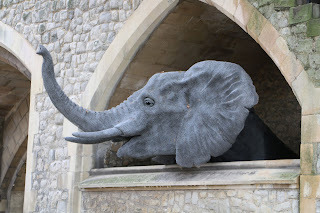 In 1830, it was decided to transfer the remaining animals from the Royal Menagerie to the newly formed Zoological Society of London – the new London Zoo in Regent’s Park. Cops continued to display his own animals at the Tower until several unfortunate escapes and accidents forced the menagerie to close in 1835. The animals were sold to the American showman, Benjamin Franklin Brown. 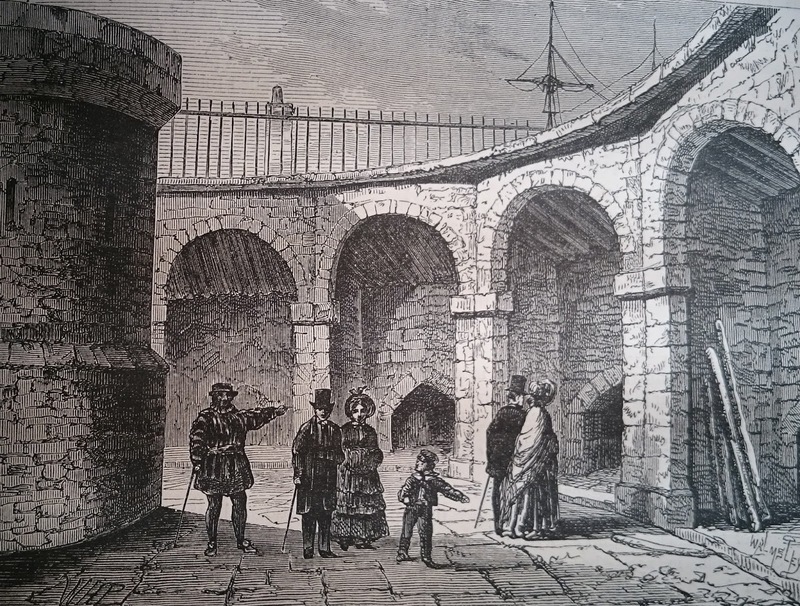 Cops continued living at the Tower until his death in 1853. The Lion Tower was dismantled soon after the departure of the last animals. 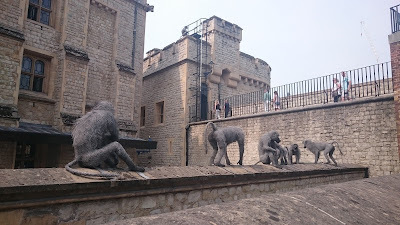 There is a display about the Royal Menagerie in the Brick Tower in the Tower of London. (1) From Cesar de Saussure, A Foreign View of England in the reigns of George I and George II (1902). (2) From Ackermann’s Microcosm of London vol 3 (1808-1810). (3) From Feltham’s Picture of London (1809). (4) From Feltham’s Picture of London (1806). (5) From Feltham’s Picture of London (1802). (6) From Times Digital Archive, Saturday, Dec 25, 1824; p3; issue 12533. Overcoming adversity always makes for a good story, particularly when it involves a life-threatening situation. 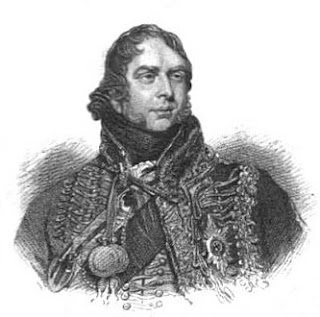 Charles Sturt, Member of Parliament for Bridport, Dorset, had such a tale to tell after sailing off Weymouth in 1800. Within a few days of his adventure, he wrote an account that was later published. 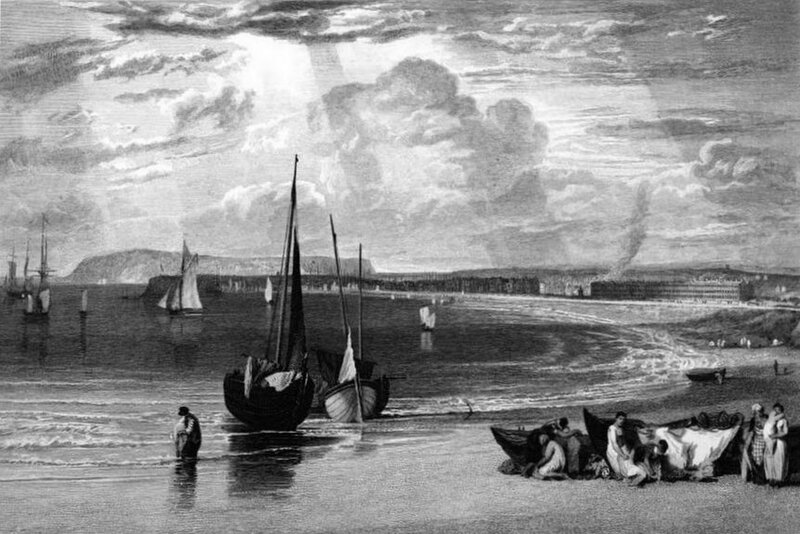 The story begins with King George III, a frequent visitor to the seaside town, who often went aboard Royal Navy ships moored in the bay. On 20 September, the King, with Queen Charlotte and other members of the royal family, went aboard the frigate Cambrian. 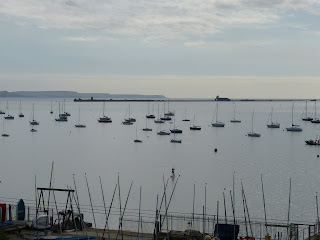 While the royals were being entertained by the Navy, Sturt sailed out into Weymouth Bay, where he encountered the cutter of Mr Weld, of Lulworth Castle. Ordering his crew to continue the race with Weld, Sturt began the task of returning his boat to Weymouth. This required him to avoid the Shambles Bank, an area of submerged rocks to the south east of Portland Bill. A very strong ebb tide carried me to the westward, and on for the Shambles, which I wished to avoid; put before the wind, but, being under a very low sail, could not stem the tide; dared not quit the helm to let the reefs out of the sail, for fear of broaching-to; the tide hauling me dead on the Shambles, where the sea was running tremendously high, and breaking horridly, no time to be lost. 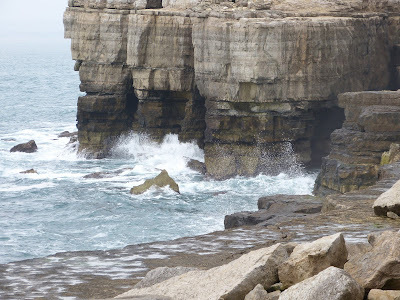 The danger from the shallows of the Shambles is amplified by the nearby Portland Race, where land forces the tides to flow fast and dangerously, just off Portland Bill. Many ships have been wrecked and lives lost because of the Race and the Shambles. Realising that he was in trouble, Sturt attempted to lighten his boat by throwing all his ballast overboard. And convinced my boat could not exist many minutes, and nothing but the interposition of Providence save me, to divert my thoughts from the horrid idea of death, I began singing the sea song, ‘Cease rude Boreas’. Written by playwright and poet George Alexander Stevens, ‘Cease rude Boreas’ was also known as ‘the storm song’ and seems to have been a popular choice among sailors facing serious wind and waves. As I was singing the second verse, a dreadful sea, all foaming, took my boat on her larboard quarter, sheered a-weather my helm she lost her shorage-way broached-to, upset and overwhelmed, the sea rolling over and over; recovering from my alarm without the smallest hope of escaping, I swam to my boat, which was lying on her broadside: with difficulty I got into her and held her fast. 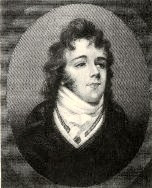 Having been thrown from his boat, and regaining it, Sturt decided he was overdressed for the occasion. He recorded that he “immediately pulled off my coat, waistcoat, shirt, and cravat; this I accomplished with much difficulty being wet”. Now he took in the gravity of his situation. No sail near me; above fifteen miles from the nearest land; a dreadful hollow, broken sea running in every direction, and frequently overwhelming me, gave me no hopes of saving my life. 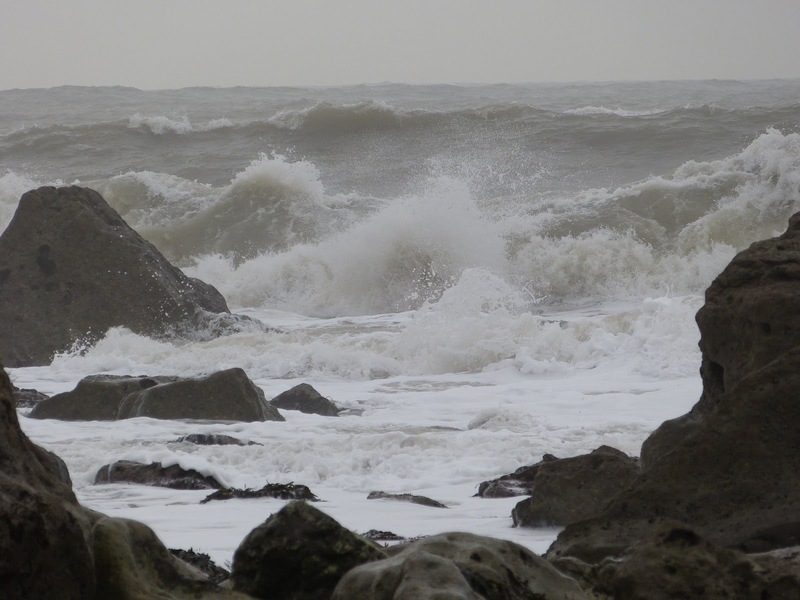 Living near the Dorset coast, Sturt was an accomplished sailor, familiar with the hazards of sailing. To surrender without a struggle, I considered weak; the thoughts of my wife and children, which at that period struck my mind very forcibly (I thought I saw them,) recollecting the difficulties I surmounted two years before, in saving some men from a wreck off my house, and knowing that they were saved from a situation as dreadful as my own by the assistance of Divine Providence this gave me resolution and fortitude to exert myself. Sturt busied himself trying to organise his vessel as best he could, despite “being repeatedly washed off the boat”. 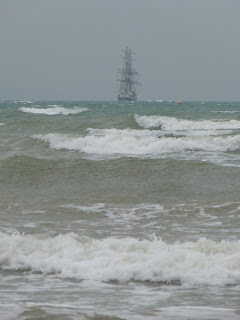 While there were no other ships in sight, Sturt was not alone with the waves. At this period, several gurnets (a large species of sea-gull,) hovered close to me, and were so bold as to come within two feet of my head. I suppose they anticipated a good meal on me; however, by hollowing pretty loud, I convinced them I was not yet dead; they took flight and I saw no more of them. 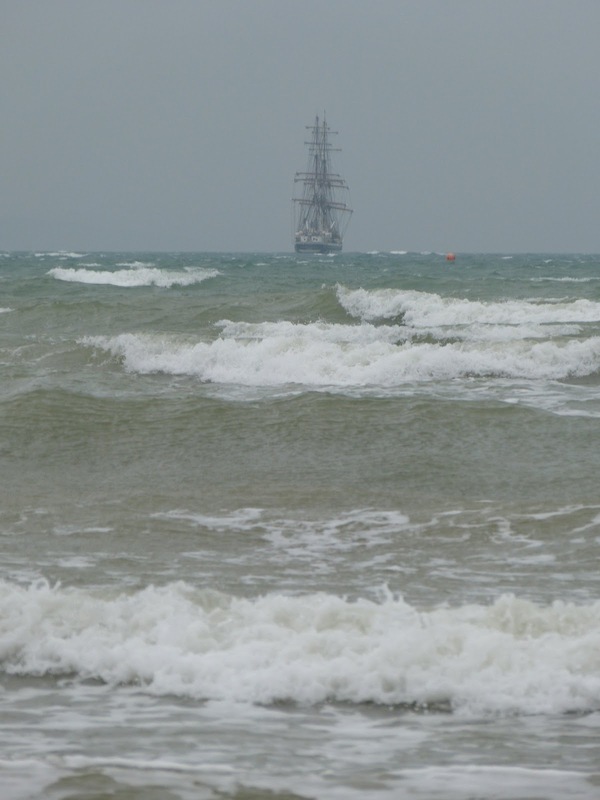 Having now spent three hours being soaked by the raging seas, Sturt was roused by the sight of two sails, but the ships were too distant for him to attract attention, so he didn’t bother. When a third, a brig, passed closer, he did all he could to get noticed. I succeeded; I saw her men go up the main shrouds, and the crew stand close together, but passed me without offering to lend me the smallest assistance; this indeed was enough for me to surrender up a life which was no longer supportable; such inhumanity excited in me the strongest emotions of anger; but alas! I had no means of redress; I gave up all hopes of being saved. Now the wind began pushing Sturt’s boat towards the dangers of the Portland Race. Prospects of rescue failing, he began preparing his body for identification once he was dead. I took a valuable diamond watch of my wife's out of my fob, tied it securely round the waistband of my trowsers, pulled them off, and tied them round the short of the boat; when I had done this, I made a running knot with the painter, intending to put it round me in my last moments, that my boat, as the wind was, would be driven near my house, or Bridport, and that my watch and seal would lead to a discovery of who I was: having done this, I became quite indifferent, death was no longer terrible; and as I saw no chance of being saved, I sat quietly in the boat, patiently waiting for the next wave to put an end to my suffering. By his own account, Sturt’s patient waiting seems to have involved regularly being tipped out of and swimming back to his boat, for around an hour. By now, his boat seems to have capsized. Then, at about half past four in the afternoon, he spotted a further eight sails. The first few to pass by were too far away to spot him. I reserved my strength for the only two of the eight that had not passed me; a brig came by, I hailed her, lifted up my hands and fortunately I observed they saw me, for her men went up aloft to see what I was; they then tacked and stood toward me, but did not hoist a boat out; this alarmed me. For whatever reason, the captains of two ships had decided to ignore the shouts and waving from a man in trouble on the seas. There was only one more vessel to pass; it was nearly dark, a dismal sea and within two miles of Portland Race: if this passed me, all was over. 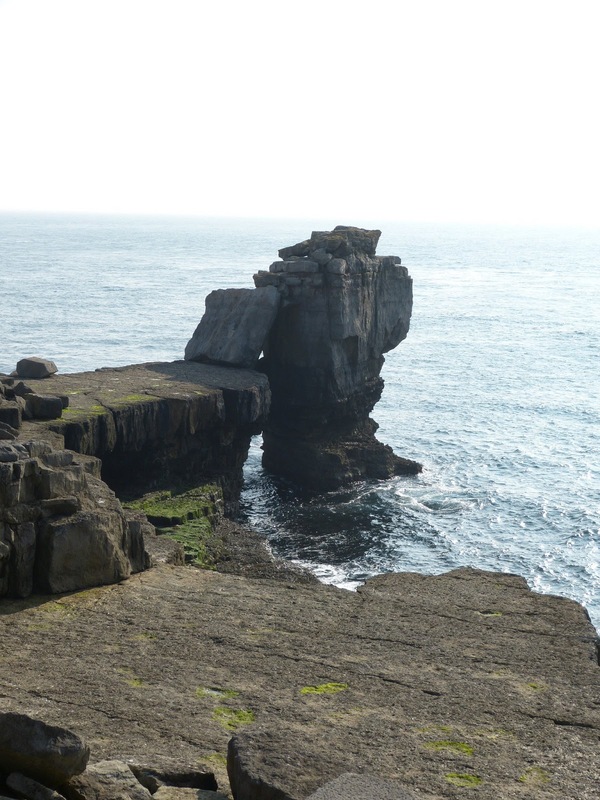 I roused myself on this occasion, and hailed, her stood on the boat's bottom, was washed off, got on her again and was again washed off; however life was still desirable as long as I saw a chance of being saved. On this occasion he was rewarded by the sight of a boat being lowered, and he realised rescue was imminent. At that instant I was agitated, my firmness seemed to forsake me, for I burst into a flood of tears, and was seized with a violent retching from the quantity of salt water I had swallowed. It seems that with the assistance of his rescuers, Sturt was able to bring his boat alongside the ship Middleton, under Captain Rankin. Once aboard, Sturt was welcomed by Colonel Jackson of the 85th. 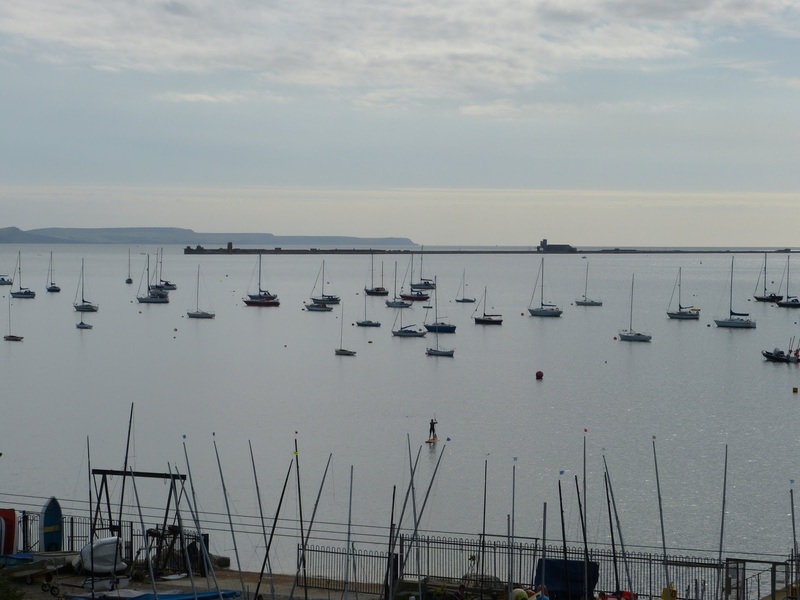 At 8pm the Middleton sailed into Portland Roads, the sheltered waters that are now Portland Harbour. Mr and Mrs Smith, from whom I received the kindest attention; they thought I was irrecoverably gone, so did their majesties, particularly as captain Ingram declared he saw my boat go down; however it was extremely reasonable to suppose I was lost, the sea running high and breaking in a most tremendous manner: he well knew on those shoals a boat could not long exist, and, on the whole, a most dreadful evening, it was reasonable to suppose I was no more. Their majesties, with the dukes of Kent and Cumberland, lord and lady Cathcart, Parlet Cathcart: colonels Desborough and Wynyard, generals Goldsworthy Garth, &c, every soul, in short, in Weymouth, heartily congratulated me on my providential escape; the king and queen with their family, on the esplanade, expressed, in the kindest manner their very sincere happiness at my being saved. Three days later, Sturt returned to the Middleton to thank his rescuers. He gave 10 guineas and a silver cup to Captain Rankin, 5 guineas each to four named crew members, and 20 to be distributed among the other sailors. The captain and crew of the Earl of Abergavenny were less fortunate. You can read about this disastrous shipwreck here. (1) From Picturesque Views on the Southern Coast of England (details below). (2) All quotes from The Cabinet of Curiosities Vol 2 (1822) by Samuel Griswold Goodrich.